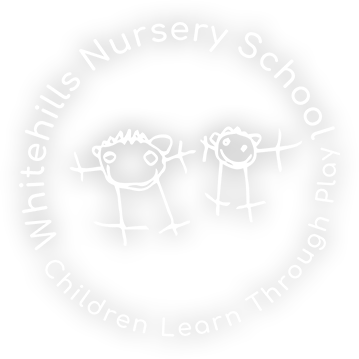 Whitehills Nursery School is a local authority maintained nursery school offering funded hours for 3 and 4 year olds. We offer 15 funded hours to 3 and 4 year olds over five days. Parents can choose either five morning sessions or five afternoon sessions and also have the opportunity to pay for extra sessions. If if you are eligible we also offer some 30 funded hour spaces. Build strong and trusting relationships with parents and children where they feel valued. Be a safe, happy place where everyone is known and valued, and where needs are acknowledged, accepted and met. Encourage each child to be independent and self-disciplined, to develop a sense of responsibility for themselves and respect for others and the environment. Provide an exciting, stimulating and enabling environment with a range of play based learning activities. To develop a “can do” attitude that will stay with a child for life. To develop a child’s self-esteem. To value and incorporate all aspects of children’s lives, building a strong partnership with community and future schools. Plan a curriculum that is tailored to all children’s individual needs, styles of learning and stage of development- we plan for all children to ensure they are motivated, supported and challenged to meet their full potential. Our staff are highly qualified and experienced and are committed to providing our children with a safe, happy and stimulating learning environment. They have a thorough understanding of child development and see all children as individuals with their own styles of learning and needs. We work extremely hard to build strong relationships with our families as we believe strong partnerships with families encourages a child to meet their full potential.